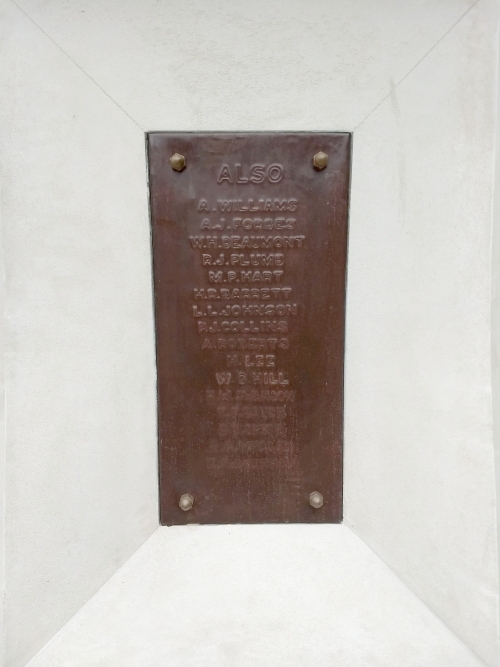 The memorial has plaques on the front, back and both sides. 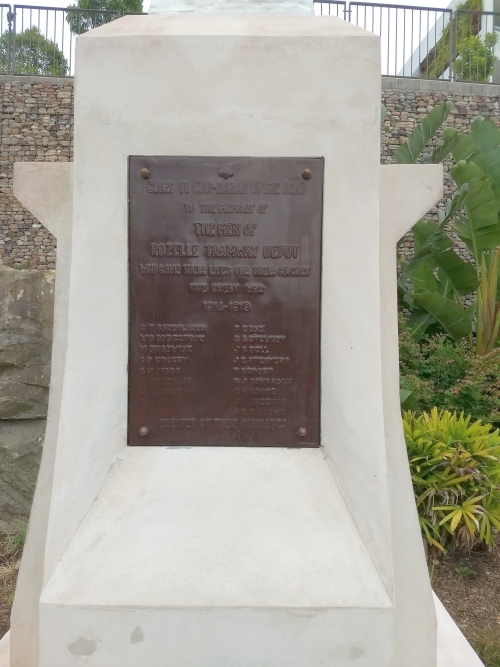 The back plaque and one of the side plaques are blank. There are several unusual aspects to this Memorial. First, it was funded by workers at the Tramsheds to commemorate their co-workers who were killed at Gallipoli. Second, it was commissioned and completed in 1916, far too early to commemorate casualties on the Western Front. 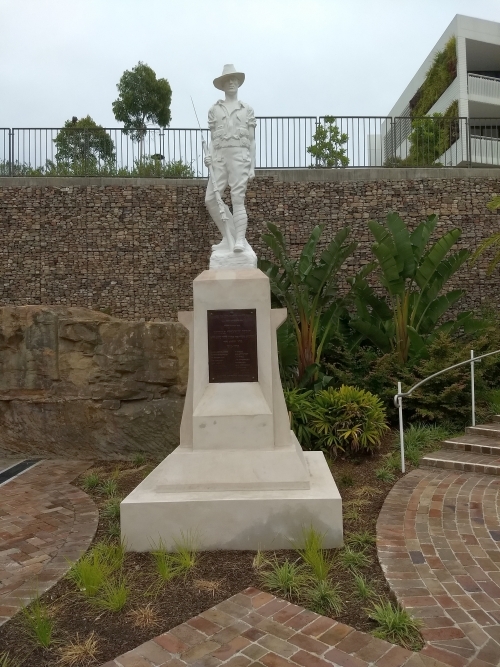 It appears to be the second memorial in Australia, predated only by the Memorial in Loyalty Square, Balmain. Third, it portrays a young Digger in summer kit of open neck, short sleeve shirt and shorts, and this increases its impression of youth and vigour.